The American Cancer Society was the charity of choice at Silk Threads, Inc.’s April 25 launch of their new collection. The exclusive, invitation only event was held at the Rosewood Crescent Hotel in Dallas. At the close of the fashion show, Society Regional Vice President Maria Clark was presented with a $2,000 check from Raj Bhandari, Silk Threads co-owner and long-time volunteer. The collection showcased traditional South Asian bridal wear, as well as more trendy tunics. Silk Threads, known for its vibrant use of colors and hand-made embroideries, is the design house of choice for more than 400 high-end boutiques and catalog houses in the U.S. The minority, woman-owned business has been a leading provider of designer mainstream and ethnic apparel for more than 18 years. Bhandari is also is a member of the Society’s Corporate Hero Circle inaugural class, a program that offers Dallas professionals the opportunity to network with business and community leaders, while fundraising and educating others about the Society’s life-saving mission. To learn more about Corporate Hero Circle, visit corporateherodallas.org <http://www.corporateherodallas.org/&gt; . By Carlisa Dorsey on May 6, 2010 http://www.dfwtalkscancer.org/The American Cancer Society was the charity of choice at Silk Threads, Inc.’s April 25 launch of their new collection. The exclusive, invitation only event was held at the Rosewood Crescent Hotel in Dallas. At the close of the fashion show, Society Regional Vice President Maria Clark was presented with a $2,000 check from Raj Bhandari, Silk Threads co-owner and long-time volunteer.”Mr. Bhandari has served on our Dallas Executive Management Board for many years. 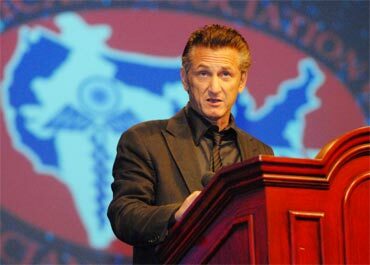 He has been very influential in helping us elevate cancer awareness in our communities, raise funds, and cultivate collaborators who share in our vision to eliminate cancer,” said Clark. “We are thankful for Silk Threads’ support in our fight against cancer and honored to be a part of such an exciting event.”The collection showcased traditional South Asian bridal wear, as well as more trendy tunics. Silk Threads, known for its vibrant use of colors and hand-made embroideries, is the design house of choice for more than 400 high-end boutiques and catalog houses in the U.S. The minority, woman-owned business has been a leading provider of designer mainstream and ethnic apparel for more than 18 years.Bhandari is also is a member of the Society’s Corporate Hero Circle inaugural class, a program that offers Dallas professionals the opportunity to network with business and community leaders, while fundraising and educating others about the Society’s life-saving mission. To learn more about Corporate Hero Circle, visit corporateherodallas.org <http://www.corporateherodallas.org/&gt; . 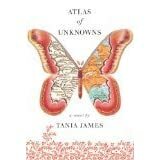 This is a debut book by Tania James, an Indian-American born and raised in Kentucky. The book is set in the southern Indian state of Kerala, and follows the story of two sisters, Linno and Anju Vallara, and the cast of characters surrounding them. Linno has an childhood accident, and loses a hand – prompting her to become withdrawn in school, and ultimately dropping out. However, she is a brilliant artist, and eventually becomes an expert in creating invitations for rich clients abroad. Anju, on the other hand, is very ambitious and determined – so much so that when she gets a chance to win a scholarship to New York City, she uses deception to win it. Her life in New York – first as a guest of the uber-rich socialite Sonia Solanki in Manhattan, and then as a refugee in Jackson Heights in Queens – is transformational, converting her from a shy, introverted student in a tony school, to a world-weary worker in an Indian salon, ordering McDonald’s in shorthand like a native. On the periphery of their lives, we learn about their parents, Melvin and Gracie – their frustrations to being married in a loveless marriage, the introduction of Bird in their lives, and mysterious circumstances leading to Gracie’s apparent suicide. James uses the technique of “flashback” or bringing in the past in snippets of memory in the middle of the story, which keeps the reader wanting more. The theme of love is the undercurrent in the novel – be it the bonds between the sisters, infatuation of Bird towards Gracie, or the lack of love between Melvin and Gracie. The second half of the book focuses on what the sisters do to re-connect – with their little victories, and crushing defeats – which keeps the reader cheering for the underdog. With the moon as witness at the windowsill. I’ll keep at least in part.